Rafie Lak, A., Vahidi, O. (2018). Designing a glycemic control strategy to maintain glucose homeostasis and prevent hypoglycemia for subjects with type 1 diabetes. Iranian Journal of Chemical Engineering(IJChE), 15(3), 34-52. A. Rafie Lak; O. Vahidi. "Designing a glycemic control strategy to maintain glucose homeostasis and prevent hypoglycemia for subjects with type 1 diabetes". Iranian Journal of Chemical Engineering(IJChE), 15, 3, 2018, 34-52. Rafie Lak, A., Vahidi, O. (2018). 'Designing a glycemic control strategy to maintain glucose homeostasis and prevent hypoglycemia for subjects with type 1 diabetes', Iranian Journal of Chemical Engineering(IJChE), 15(3), pp. 34-52. Rafie Lak, A., Vahidi, O. Designing a glycemic control strategy to maintain glucose homeostasis and prevent hypoglycemia for subjects with type 1 diabetes. 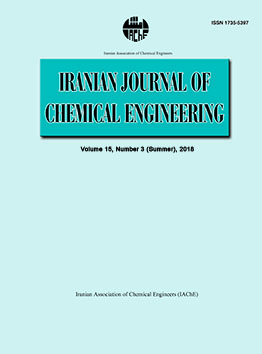 Iranian Journal of Chemical Engineering(IJChE), 2018; 15(3): 34-52. This paper presents using the fractional PImDn controller module which manipulates insulin infusion rate to maintain normoglycemia in subjects with type 1 diabetes. To prevent severe hypoglycemia, a conventional proportional controller is used to regulate glucagon infusion rate when the blood glucose levels fall below a threshold. Two sets of controller parameters are obtained and evaluated. For the first tuning set, clinical data from an oral glucose tolerance test taken from a group of healthy subjects are used to obtain the controller parameters such that it can mimic a real healthy pancreas. To obtain the second tuning set, the controller parameters are optimized through a sequential quadratic programming algorithm. Using the second tuning set, the in silico 2-hour postprandial test result and comparing it with the glucose concentration trajectory of the healthy subjects show that the controller performs well in returning the blood sugar levels into the glucose homeostasis while keeping the plasma insulin concentration within the acceptable physiological range. It is indicated that the manipulation of glucagon infusion rate is effective in hypoglycemia prevention if more aggressive controller settings are chosen or dysfunctional insulin infusion occurs. Vahidi, O., Bhushan Gopaluni, R. and Kwok, E., “Detection of abnormalities in type II diabetic patients using particle filters”, Journal of Medical and Biological Engineering,35 (2), 188 (2015). Boden, G., Sargrad, K., Homko, C., Mozzoli, M. and Stein, T. P., “Effect of a low-carbohydrate diet on appetite, blood glucose levels, and insulin resistance in obese patients with type 2 diabetes”, Annals of Internal Medicine,142 (6), 403 (2005). Parker, R. S., Doyle, F. J. and Peppas, N. A., “A model-based algorithm for blood glucose control in type I diabetic patients”, IEEE Transactions on Biomedical Engineering,46 (2), 148 (1999). Ramprasad, Y., Rangaiah, G. P. and Lakshminarayanan, S., “Robust PID controller for blood glucose regulation in type I diabetics”, Industrial & Engineering Chemistry Research,43 (26), 8257 (2004). Cryer, P., “Hypoglycaemia: The limiting factor in the glycaemic management of type I and type II diabetes”, Diabetologia,45 (7), 937 (2002). Cryer, P. E., Davis, S. N. and Shamoon, H., “Hypoglycemia in diabetes”, Diabetes Care,26 (6), 1902 (2003). Fowler, M. J., “Hypoglycemia”, Clinical Diabetes,26 (4), 170 (2008). Weinstock, R. S., “Closing the loop: Another step forward”, Diabetes Care,34 (9), 2136 (2011). El-Khatib, F. H., Russell, S. J., Nathan, D. M., Sutherlin, R. G. and Damiano, E. R., “A bihormonal closed-loop artificial pancreas for type 1 diabetes”, Science Translational Medicine,2 (27), 27ra27 (2010). Castle, J. R., Engle, J. M., Youssef, J. E., Massoud, R. G., Yuen, K. C. J., Kagan, R., et al., “Novel use of glucagon in a closed-loop system for prevention of hypoglycemia in type 1 diabetes”, Diabetes Care,33 (6), 1282 (2010). Weinzimer, S. A., Steil, G. M., Swan, K. L., Dziura, J., Kurtz, N. and Tamborlane, W. V., “Fully automated closed-loop insulin delivery versus semiautomated hybrid control in pediatric patients with type 1 diabetes using an artificial pancreas”, Diabetes Care,31 (5), 934 (2008). Steil, G. M., Palerm, C. C., Kurtz, N., Voskanyan, G., Roy, A., Paz, S., et al., “The effect of insulin feedback on closed loop glucose control”, The Journal of Clinical Endocrinology & Metabolism,96 (5), 1402 (2011). Ekram, F., Sun, L., Vahidi, O., Kwok, E. and Gopaluni, R. B., “A feedback glucose control strategy for type II diabetes mellitus based on fuzzy logic”, The Canadian Journal of Chemical Engineering,90 (6), 1411 (2012). León-Vargas, F., Garelli, F., De Battista, H. and Vehí, J., “Postprandial blood glucose control using a hybrid adaptive PD controller with insulin-on-board limitation”, Biomedical Signal Processing and Control,8 (6), 724 (2013). Garcia-Gabin, W., Vehí, J., Bondia, J., Tarín, C. and Calm, R., “Robust sliding mode closed-loop glucose control with meal compensation in type 1 diabetes mellitus”, IFAC Proceedings Volumes,41 (2), 4240 (2008). Kaveh, P. and Shtessel, Y. B., “Blood glucose regulation using higher-order sliding mode control”, International Journal of Robust and Nonlinear Control,18 (4-5), 557 (2008). Magni, L., Raimondo, D. M., Dalla Man, C., De Nicolao, G., Kovatchev, B. and Cobelli, C., “Model predictive control of glucose concentration in type I diabetic patients: An in silico trial”, Biomedical Signal Processing and Control,4 (4), 338 (2009). Abedini Najafabadi, H. and Shahrokhi, M., “Model predictive control of blood sugar in patients with type-1 diabetes”, Optimal Control Applications and Methods,37 (4), 559 (2016). Palumbo, P., Pizzichelli, G., Panunzi, S., Pepe, P. and De Gaetano, A., “Model-based control of plasma glycemia: Tests on populations of virtual patients”, Mathematical Biosciences,257, 2 (2014). Ruiz-Velázquez, E., Femat, R. and Campos-Delgado, D. U., “Blood glucose control for type I diabetes mellitus: A robust tracking H∞ problem”, Control Engineering Practice,12 (9), 1179 (2004). Chee, F., Savkin, A. V., Fernando, T. L. and Nahavandi, S., “Optimal H infinity insulin injection control for blood glucose regulation in diabetic patients”, IEEE Trans. Biomed. Eng.,52 (10), 1625 (2005). Chase, J. G., Shaw, G. M., Wong, X. W., Lotz, T., Lin, J. and Hann, C. E., “Model-based glycaemic control in critical care: A review of the state of the possible”, Biomedical Signal Processing and Control,1 (1), 3 (2006). Lunze, K., Singh, T., Walter, M., Brendel, M. D. and Leonhardt, S., “Blood glucose control algorithms for type 1 diabetic patients: A methodological review”, Biomedical Signal Processing and Control,8 (2), 107 (2013). Bequette, B. W., “2- Control in physiology and medicine”, in Modelling methodology for physiology and medicine, 2nd ed., E. C. Cobelli, ed., Oxford, Elsevier, pp. 13-44, (2014). Shalitin, S. and Phillip, M., “Hypoglycemia in type 1 diabetes: A still unresolved problem in the era of insulin analogs and pump therapy”, Diabetes Care,31 (Supplement 2), S121 (2008). Karges, B., Rosenbauer, J., Kapellen, T., Wagner, V. M., Schober, E., Karges, W., et al., “Hemoglobin A1c levels and risk of severe hypoglycemia in children and young adults with type 1 diabetes from Germany and Austria: A trend analysis in a cohort of 37,539 patients between 1995 and 2012”, PLoS Med.,11 (10), e1001742 (2014). Vahidi, O., Kwok, K. E., Gopaluni, R. B. and Knop, F. K., “A comprehensive compartmental model of blood glucose regulation for healthy and type 2 diabetic subjects”, Medical & Biological Engineering & Computing, 1 (2015). Farmer, T. G., Edgar, T. F. and Peppas, N. A., “Effectiveness of intravenous infusion algorithms for glucose control in diabetic patients using different simulation models”, Industrial & Engineering Chemistry Research,48 (9), 4402 (2009). Dua, P., Doyle, F. and Pistikopoulos, E., “Multi-objective blood glucose control for type 1 diabetes”, Medical & Biological Engineering & Computing,47 (3), 343 (2009). Bolie, V. W., “Coefficients of normal blood glucose regulation”, Journal of Applied Physiology,16, 783 (1961). Ackerman, E., Gatewood, L. C., Rosevear, J. W. and Molnar, G. D., “Model studies of blood-glucose regulation”, The Bulletin of Mathematical Biophysics,27, Suppl: 21 (1965). Cobelli, C. and Mari, A., “Validation of mathematical models of complex endocrine-metabolic systems: A case study on a model of glucose regulation”, Medical & Biological Engineering & Computing,21 (4), 390 (1983). Sorensen, J. T., “A physiological model of glucose metabolism in man and its use to design and assess improved insulin therapies for diabetes”, Dissertation/Thesis, Massachusetts Institute of Technology, (1985). Hovorka, R., Canonico, V., Chassin, L. J., Haueter, U., Massi-Benedetti, M., Orsini Federici, M., et al., “Nonlinear model predictive control of glucose concentration in subjects with type 1 diabetes”, Physiological Measurement,25 (4), 905 (2004). Fessel, K., Gaither, J. B., Bower, J. K., Gaillard, T., Osei, K. and Rempala, G. A., “Mathematical analysis of a model for glucose regulation”, Math. Biosci. Eng.,13 (1), 83 (2016). Vahidi, O., Kwok, K. E., Gopaluni, R. B. and Sun, L., “Developing a physiological model for type II diabetes mellitus”, Biochemical Engineering Journal,55 (1), 7 (2011). Charef, A., Sun, H., Tsao, Y. and Onaral, B., “Fractal system as represented by singularity function”, Automatic Control, IEEE Transactions,37 (9), 1465 (1992). Ahmad, W. M. and Sprott, J., “Chaos in fractional-order autonomous nonlinear systems”, Chaos, Solitons & Fractals,16 (2), 339 (2003). Valério, D. and da Costa, J. S., “Tuning of fractional PID controllers with Ziegler–Nichols-type rules”, Signal Processing,86 (10), 2771 (2006). Chen, Y., Bhaskaran, T. and Xue, D., “Practical tuning rule development for fractional order proportional and integral controllers”, Journal of Computational and Nonlinear Dynamics,3 (2), 021403 (2008). Gude, J. J. and Kahoraho, E., “Simple tuning rules for fractional PI controllers”, in Emerging Technologies & Factory Automation, ETFA 2009, IEEE Conference, pp. 1-8, (2009). Padula, F. and Visioli, A., “Tuning rules for optimal PID and fractional-order PID controllers”, Journal of Process Control,21 (1), 69 (2011). Thiebaud, D., Jacot, E., Defronzo, R. A., Maeder, E., Jequier, E. and Felber, J.-P., “The Effect of graded doses of insulin on total glucose uptake, glucose oxidation and glucose storage in man”, Diabetes,31 (11), 957 (1982). NIDDK, Hypoglycemia, Available: http://www.niddk.nih.gov/ health-information/health-topics/Diabetes/ hypoglycemia/Pages/index.aspx, (2008). Dalla Man, C., Camilleri, M. and Cobelli, C., “A system model of oral glucose absorption: validation on gold standard data”, IEEE Transactions on Bio-medical Engineering,53 (12 Pt 1), 2472 (2006).